Check Out the Best Weld On and Bolt On Parts and Accessories For Your Chopper or Bobber! 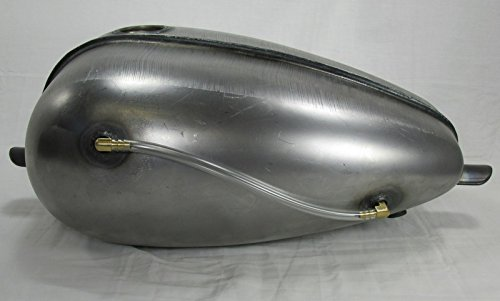 It doesn’t matter if you’re going low or long, ride in style and check out the best weld on and bolt on accessories for your Bobber or Chopper. Let's face it when it comes to customizing your ride only two things can limit your options; budget and imagination. We’ve scoured the net and come up with some cool parts, ranging from a few bucks to mad money. Just in case you don’t know a welding rod from a stair rod, don’t worry, we’ve got you covered, with some great bolt on ideas too. This information is relative whether you’re welding parts to a new frame or altering your stocker. If it’s the former, then you’re presented with the perfect situation, as a clean bare frame makes it far easier to position the part and access it for welding. With a ground up build, you’re going to be welding on brackets every five minutes as things gradually take shape. The trouble is though until you fit a new part, you don’t know where to position the brackets. Three components will always remain a constant and can be put in place whether you've got the engine in or not. These are the tank, seat and rear fender. Once upon a time, fabbing every little part, would be extremely time-consuming but not now. Thanks to companies like Lowbrow, Biltwell, Deadbeat and Factory Metal Works, you can get hold of every type of weld-on tab, bracket, and threaded blind top hat, imaginable. Use them on saddles, fenders, gas and oil tanks. There are even side stand, sissy bar, and axle plate kits. Altering your stock frame is not the nightmare it used to be either. Weld on hardtails are now so good that there's no need for a frame jig. Once upon a time, it was only ever the usual suspects like Sportsters and Triumphs that were available. Now though, weld-on hardtails are available off the shelf for everything from Kawasaki KZ1000’s to Yamaha XS400’s. Just make sure you’ve covered your bases by checking on the build quality, and most importantly, looking for feedback from those who’ve bought before. If you’re not confident to weld it yourself, find someone who is. This advice especially goes for gooseneck alterations, although in reality fab shops usually offer this type of frame mod anyway. As for bolt on parts, it has to be Tolle adjustable rake triple trees. The Swedish chopper gods have been making these excellent quality parts since 1979, and they don’t get much better. I once asked a guy from a famous custom accessory shop in Daytona about raked trees, and you’d have thought I’d asked him for a black-market organ donor. I guess some people don’t like the idea. Engineered well, they work brilliantly, just ask any Swede riding a long neck. Chain with the links welded to make a solid bar, have been a chopper staple for years. 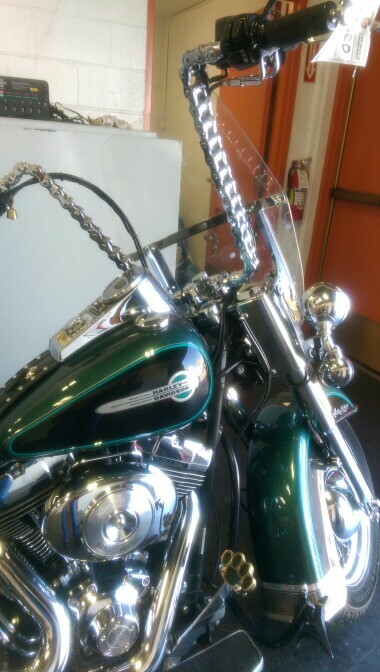 They make good sissy bars or connecting rods for forwards, but you don’t see many chain handlebars. You can make them yourself, but you can also buy them now in a mini or full-on ape. The links are TIG welded so they’re not going to go all floppy mid ride and the grips come in 1” diameter. Generally speaking, Bobbers don’t take a lot of frame fabricating unless you go down the hardtail route or are building something from the ground up. 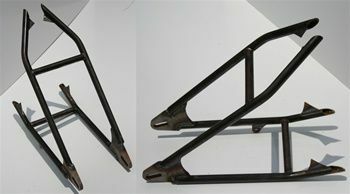 If you're looking at stock frame alterations, cut down sub frames are easier than ever to convert. Prefabricated frame loops are readily available in various tube diameters and bend radii. You can use them with or without a kick-up and even with built in LED’s. If you have trouble finding them, type ‘café racer frame loop,' they’re the same. It's really interesting the way trends shift through the years. At one time leaving an exposed weld on your custom exhaust pipe would get you hoots of derision, now it’s almost a must- have. Whereas once you couldn’t even contemplate making a custom exhaust without a decent pipe-bender and a workshop, now all you need is a bag of bends and a welder. Companies such as Paughco, TC Brothers, and Cone Engineering supply every type of bend you can imagine helping you fabricate your very own pipe dream. Finally, a quick weld on fix that looks good and is practical (these two things on a custom bike don't always go hand in hand) try an external fuel gauge pipe for your gas tank. These consist of a couple of threaded adaptors to weld on the tank, two 90-degree bends and a length of clear pipe. These are available as complete kits, just make sure the tubing is suitable for carrying gas, or it will go all yellow and nasty. When it comes to bolt-ons for your bobber, the skies the limit from retro style tail lights to space age multifunction clocks. Picking out a few favorites is, therefore, a tough job. You can significantly alter the look of a bike just by changing the handlebars, but change the front end, and you crank it up a gear. Bobber purists will say that it has to be narrow or nothing. If that's the route you want to go down, there are triple tree kits to put springers on your XS650. For many of us though, its wide-glide every time and if you want to make a statement, a minimal amount of fat spokes looks the biz. On a smaller and subtle note, if you’ve got a clock and idiot light set up the size of a shoebox, this is for you. This instrument is a vintage look analog speedo with a heap of LED goodies inside that will let you dump the idiot lights. The clock face is cracked, and the speedo needle is aged brass. If you like your information console a little more 21st century, the same company do a semi-circular LED clock with a mind boggling 32 functions. With the amount of amazing and time-saving custom parts currently on the market, it’s never been a better time to build. By checking out the best weld on and bolt on accessories for your bobber or chopper, you’re going to create an awesome ride.